Effective Jan. 1, 2018, the Sutter Health Plus network in Alameda County and western Contra Costa County is expanding to include primary care physicians and specialists at University HealthCare Alliance and Affinity Medical Group IPA. These benefit changes will reduce member cost share for Mental Health, Behavioral Health and Substance Use Disorder (MH/SUD) and emergency medical transportation benefits. Previously filed claims will be retroactively adjusted back to dates of service on or after January 1, 2016. Members who paid the incorrect cost sharing amount will receive a separate letter and refund, as appropriate. We are pleased to announce that Sutter Health has come to an agreement with Health Net for 2017. Sutter Health now has agreements in place for 2017 with all major health plans except Blue Shield, with which negotiations continue. For 2017, Sutter Health Plus will be offering individual and family plans that mirror the standard benefit designs outlined by Covered California. 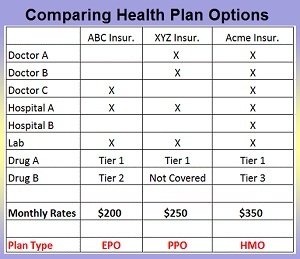 These HMO plans, offered only by Sutter Health Plus, are not eligible for the ACA Premium Tax Credits. They will be offering the standard benefit design Platinum coinsurance, Gold coinsurance, Silver and Bronze health plans in the Sacramento Valley and Bay Area counties. A new member who is currently receiving treatment, or an existing member whose physician is leaving or left the Sutter Health Plus network, may request to temporarily remain with their current treating physician for certain medical conditions. Great news for the Bay Area—we’ve received state regulatory approval to offer individual, family and employer group health plans in Alameda, Contra Costa, San Francisco and San Mateo, and parts of Santa Clara effective Oct. 1, 2015.